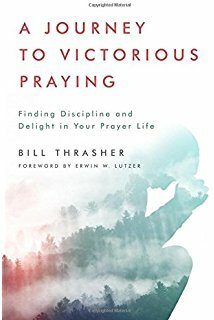 A Journey to Victorious Praying by Bill Thrasher was written to give readers a revival and reawakening in their prayer lives. You know that your prayer life has died when you pray without expectancy of any outcome, and I feel safe in saying that we all eventually reach that point. When this happens, we have to ask, “Why pray?” That is where this book comes in. We need to let the Holy Spirit move us, and guide and empower us in prayer. True prayer starts with God and the prayer burden He places on our heart. Also, it is thanksgiving (not just prayer and supplication) that truly brings us to peace. Finally, do not forget to share your real concerns, burdens, and desires with God. He already knows all of them, but getting them out in the open with God will lighten our burden. The book is split into sections for daily reading, perfect for those who want to focus on smaller sections at a time, or do not have much time for reading throughout the day. I thought this book was so full of great information and ideas, so I highly recommend journaling along with reading this book. There is also a section at the end of the book with questions and chapter reviews for you to journal about and reflect. At the end, there is also an appendix with selected prayers from Scripture and ideas to stimulate prayer. This book teaches how to strengthen your prayer life, and how to avoid things that will kill it. I highly recommend this book to anyone who would like to strengthen an already healthy prayer life, and for those who need to bring their prayer life back to life. I gave this book 5/5 stars. *I received a free copy of this book from Moody Publishers in exchange for an honest review as a part of their blogger program. All opinions are my own. I was not required to write a positive review.